The city of Malaga is the focal point of a key tourist area, the Costa del Sol. A city of light and variety, it retains its commercial drive and ability to benefit from the twin bonanza afforded by its climate and the beautiful sweep of bay on which it stands. Nature has blessed the province of Malaga with beaches that cover more than 150 kilometres. The province, however, also possesses mountain ranges, covered with small picturesque towns that are a stark contrast with the developed coastline. Ronda for example - home of bullfighting, the impressive Tajo, palaces, and manor houses - has an ample and impressive landscape that begins in Axaruquía (producer of raisin wines), and carries on through the monumental town of Antequera, Dolmen de Menga, and El Torcal, where nature sculpted a unique landscape of narrow passages where it seems like the rocks would like to take human forms. 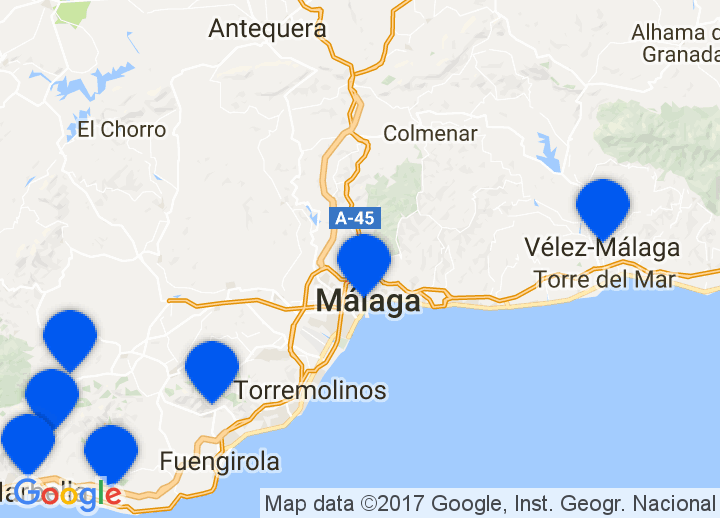 Choose from our unique selection of romantic hotels in Malaga and boutique hotels in Malaga, including luxury Malaga hotels, bed & breakfasts, charming Malaga hotels, amongst others. Whatever your taste, we’ll help you find that perfect getaway in Malaga. Fiestas Easter Week dates from the 15th century and is one of the most attractive in Spain. Other Easter festivities include the Pasión in Riogordo, a splendid representation of the Crucifixion by the town's inhabitants; there are processions in Riogordo, Ronda, Antequera, Benalmádena or Marbella. The celebration of the cruces de Mayo, where streets and squares are decorated with flowers during the month of May, is very important in Casabermeja, Torrox and Coín. In June, a procession takes place in Marbella to commemorate the handing over of the keys of the city to the Catholic Kings; in Ronda, on the second Sunday of June, they celebrate the Romería de Nuestra Señora de la Cabeza, a procession with chariots and horses. During the summer months practically every town honours its patron saint.